Introducing the stunning range of iSUPs from Anomy, available in the UK exclusively at SUP Inflatables. Flying in the face of traditional SUP companies, Anomy SUP team up with world-renowned artists to create original in-your-face graphics for their range of high-quality, performance SUPs. An allround inflatable SUP with vibrant graphics by Jonathan Cantero that will always turn heads. Mariadiamantes is a graphic design & illustration studio who have created this stunningly playful design for this allround Anomy SUP. Graphics by the incredible Amaia Arrazola, on an all-round Inflatable SUP that will have you smiling every time you take to the water. Simply stunning artwork by the famous fine artist, Chamo San. As well as looking awesome, this quality inflatable SUP really performs. 9'8 x 31" AND 10'6 x 32"
Available in a choice of sizes to suit different paddlers, this Anomy SUP by Miki Montllo is all about passion, not fashion. This limited edition graphic was designed by Barcelona graphic design studio, Hey. Clean lines for a clean mind. The perfect touring SUP. SUP into the future with Josan Gonzalez and Anomy SUP. A shape to suit most paddlers, with limited edition graphics. The graphics on each Anomy paddleboard are only available for one year. They then become part of Anomy folklore, forever in the hands of the lucky few who paddle them. Everything Anomy is top notch. 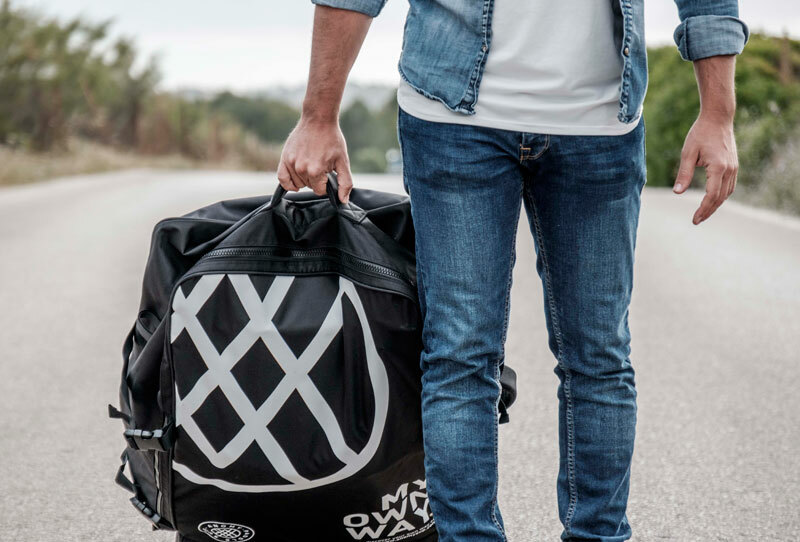 The Anomy Travel Bag is included with every Anomy SUP. It makes transporting your iSUP easy, with padded straps, wheels and a durable construction. 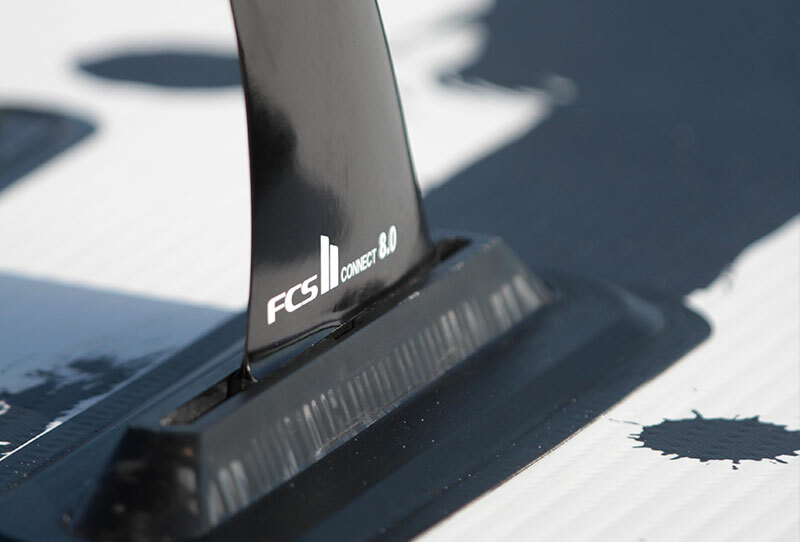 All Anomy SUPs feature the awesome FCSII fin system, and include an FCSII Fin. Attach and detach your fin easily, and even swap for your own FCSII fin if preferred. Superior dropstitch, double layer construction and the best materials combine to make Anomy SUPs stiff and durable. This is the true pairing of style and function. As well as looking great, Anomy SUP boards meet the highest worldwide standards of quality and innovation. 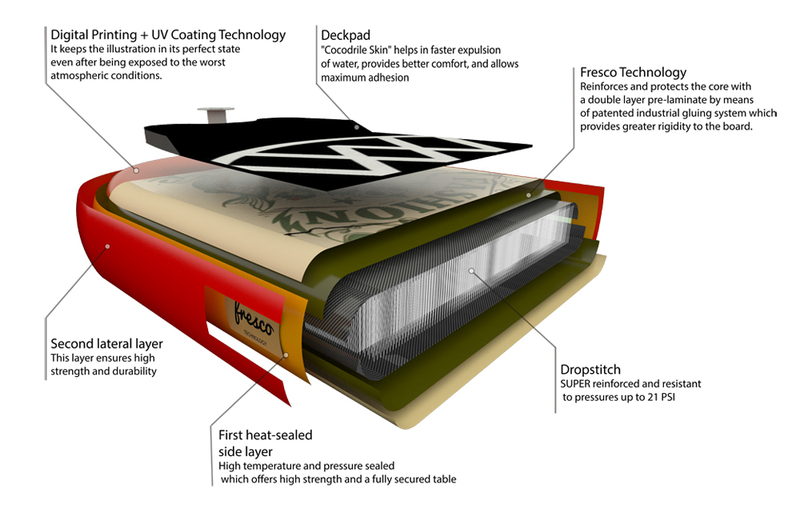 Super reinforced dropstitch can withstand high pressures (up to 21psi) and the Anomy Fresco technology is a pre-laminated double layer that reinforces the core and creates greater rigidity. Double layer sidewalls make the SUP super-durable. 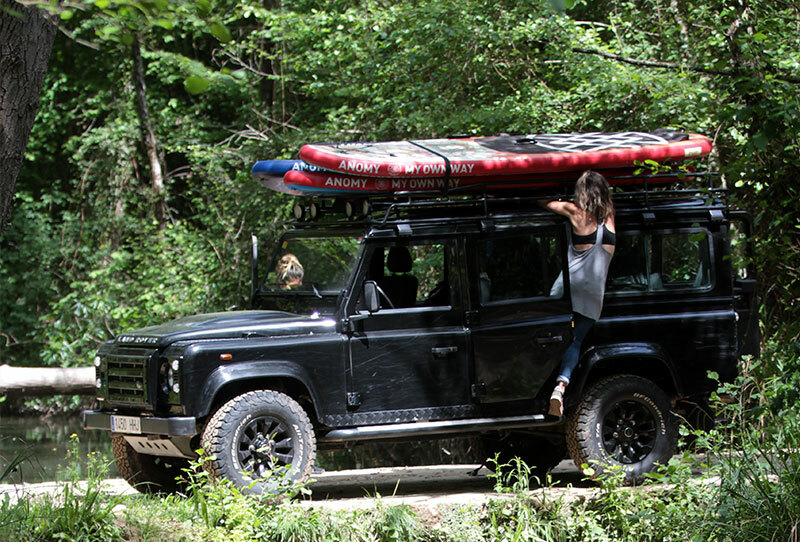 The SUP also features a comfortable deckpad and carry handle. With the digital printing and UV coating technology the graphics will stay in great condition even after being exposed to the elements.